The Memory Eater has Arrived! Okay folks, my apologies for being so late to the party. The Memory Eater was officially released already and somehow I missed it. Oh well, better late than never, eh? I must say that this book has been an amazing project to work on and I am very fortunate to be included with such an outstanding group of writers and artists. It is quite an honor to be lumped together with all this amazing talent. Kudos to Matthew Hance for putting all this together. It just goes to show how a spark of an idea can spread like wildfire if only given the chance. Pick up your copy on Amazon in Print or ebook format. The Memory Eater is an anthology consisting of 27 uniquely illustrated stories based on a device with the ability to locate and destroy any memory in the human mind. Follow the story of a conflicted man who tries to become the fantasy inside his head by deleting reality. Or the story of a devastated couple who lost their child and turn to a shady Memory Eater doctor to erase their problems. Discover the truth behind the urban legend regarding where the Memory Eater really came from, and how it was used during World War II in the fight against Hitler and Nazi Germany. Drop in for a tale of love, and how one man never gives up hope to find his childhood sweetheart after the Memory Eater tore them apart. Witness how a teenage prank involving the machine and a chore goes hilariously wrong. Or how, with the introduction of this new technology, mass paranoia begins to spread, prompting people to tirelessly investigate their own pasts. See how the Memory Eater will shape the future into the perfect utopia. How it evolves into much more than deleting memories. Memories will become transferable and sold in back alleys. They’ll become viral. 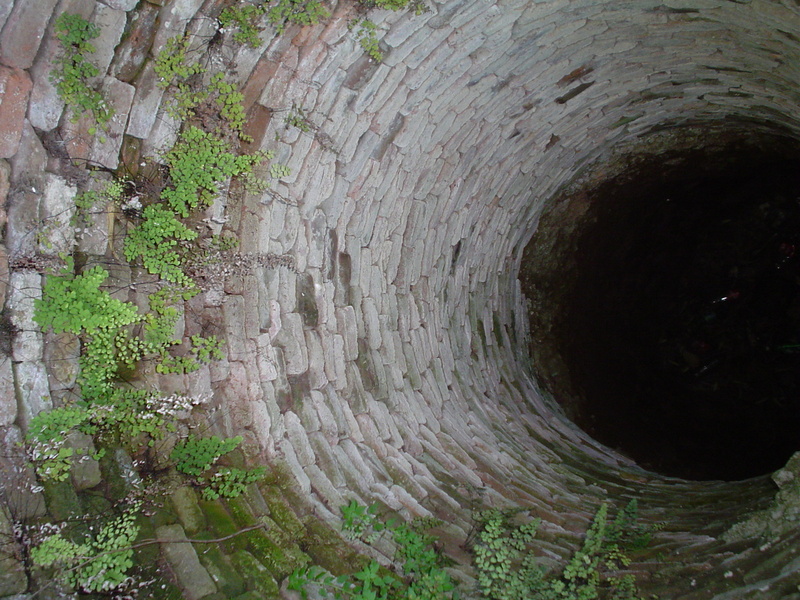 But ultimately, nothing will be safe, not even the sacred depths of the mind. 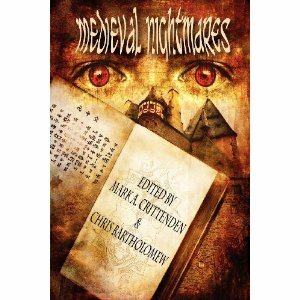 Medieval Nightmares anthology from Static Movement is now available to purchase in print! The book features a fine collection of horror stories in medieval settings written by great authors of which I am humbled to be published alongside. Two of my own tales are present including one that has never before been published and one reprint from an online journal. The reprinted story is making its print debut here and has been newly revised just for this collection. Besides my own offerings, there is a wide assortment of medieval horror goodness that is likely to keep you sleeping with the lights on! Don’t miss it! Hi folks. I know it’s been a while since you’ve heard from me, but i assure you, I’m still alive and kickin’. Despite what the rumors may have you to believe, I haven’t been abducted by aliens, nor have i become a rogue zombie and ventured into the wilds in pursuit of sweet, sweet brain meat. I have, however, returned from the netherworld in order to share a creative project that I’m involved with. Oh, and I’m also here to shamelessly enter a plea for your support. Don’t worry though, because if you do lend a gracious hand (and dough, I’m talkin’ serious amounts of hard currency! ), you get stuff in return, so it’s cool. I mean let’s face it, we alI like to get stuff. I’m very excited to share with you the news of this creative project—a fiction anthology called The Memory Eater: Stories that Erase the Past to Save the Future, created and edited by Matthew Hance. The science fiction-inspired anthology consists of 27 uniquely written and illustrated stories based on a futuristic device with the ability to locate and destroy any memory in the human mind. The concept—that everybody wants to forget something, don’t they?—is intriguing, as is the format. Each of 27 authors wrote an original story around the concept, and 27 artists contributed a companion original piece of art for the stories. My story, Vanishing Cycle, was accepted for inclusion in the anthology. The anthology was pitched to select publishers with positive feedback, but ultimately, Matt decided to take advantage of the evolving book publishing landscape and retain control over the book publication and distribution by raising the funds to self-publish. April 2 marked the launch of the Kickstarter.com fundraising campaign to raise funds to publish The Memory Eater, which is ready to print right now! Kickstarter is a unique Internet funding platform for creative projects by writers, musicians, artists, designers, filmmakers and visionaries of all kinds. Artists post an in-depth profile of their creative work and ask interested people to pledge a donation over a short period to reach a funding goal. If the goal is reached, the pledges are funded, and the artist can help bring their creative project to life. Please visit The Memory Eater fundraising campaign at http://www.kickstarter.com/projects/875080901/the-memory-eater-anthology and support my story. The page includes a project introduction video, story and art samples and links to several contributor web sites. The platform offers several pledge levels ranging from $1-$300 with rewards attached to each donation. Rewards run the gamut from written acknowledgement in the anthology, to free books, to bookmarks and T-shirts, to custom created, artist-signed The Memory Eater artwork on canvas. Pledges are not collected (via PayPal or credit card) unless and until the project goal of $4,250 is reached in the 40-day campaign period. 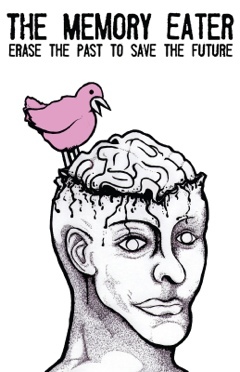 The Memory Eater’s Kickstarter campaign runs through May 12, 2012. For further information about The Memory Eater anthology, visit Hance’s blog at www.anthologies2011.blogspot.com; http://www.facebook.com/pages/The-Memory-Eater-Anthology; and Twitter at @TheMemoryEater. Thank you for checking out the campaign and for your support of my work! I recently noticed a common theme with several of my stories: aspects of characters either changing physical bodies in various manners or altering their existing physical or mental state from one thing into another. It then occurred to me that this commonality might make for a good collection. As it stands, there are about eight or nine stories I’ve written that fall within this theme. This simple realization has inspired me to further build upon it, and even write more stories to fit within this mold. I have a few more ideas brewing for new stories, and now with this concept in mind, I can work to make them more focused as I write them. I believe I might even have a few poems that could be included to further flesh this manuscript out. 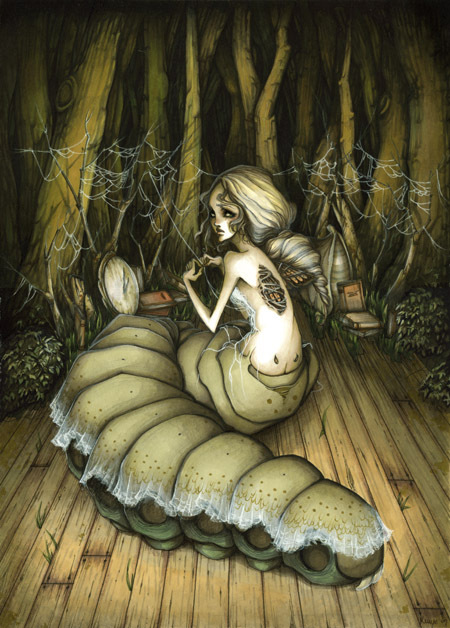 The working title is currently Aberrant Embodiment: Curious Tales of Strange Metamorphoses. The Big Book of New Short Horror is now available for Kindle, and will be available in both trade paperback and hardcover very soon. My story, “Sporemind,” (you know, that one inspired by those Zombie Ants) is included along with 57 (that’s right, 57!) other short stories by a fantastic line up of talented authors. At only 2.99 for Kindle, this massive collection makes for quite a bargain. The (BIG) book is put out by Pill Hill Press and is edited by Jessy Marie Roberts. There’s lots of good stuff here to make your skin crawl and keep you up at night. You can get more info on this publication or even grab a copy by clicking HERE or on the cover.